Greetings to everyone, as the incoming President of the South Texas Chapter of APPNA, I am looking forward to working with my team for the exciting year to come. I want to first off thank our outgoing President Dr Najma Aijaz for her service to this chapter. 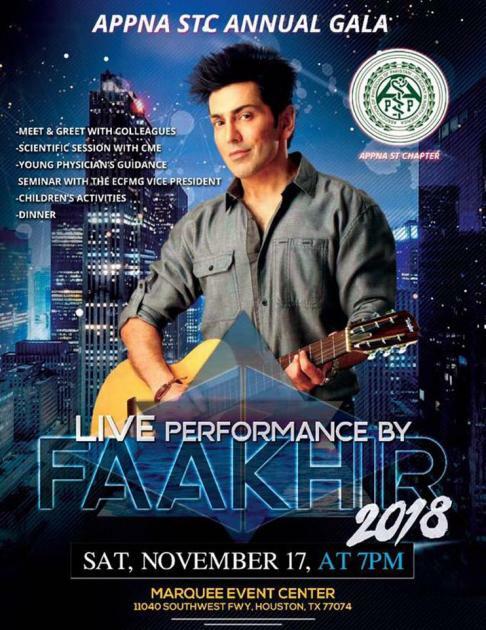 Fellow members, as you know, APPNA is a social welfare non profit organization which works with our parent organization AAPNA to enhance the welfare of Pakistani-origin physicians. 1. Increase our membership by nearly double for the upcoming year. We covered some mileage last year when we reached almost 200 members but since the goal now is to double this number, I urge all of you to encourage all qualified physicians to become STC members, especially young physicians and local graduates of Pakistani parents to become members. 2. 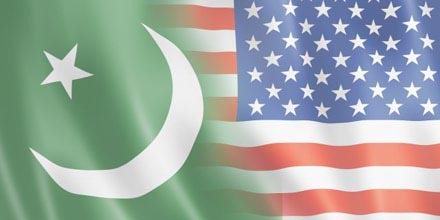 Promote Pakistani culture and heritage in the organization and the community. 3. Create CME activities especially ACLS,PALS,ATLS and Physician Ethics, which are a necessity for local physicians. 4. Restructure entertainment such as our successful annual gala in 2018. My office will try to adopt ideas to improve the value for this year’s gala as well as explore options for other social events such as a grand picnic. 5. Improve our inter-mural sports involvement. The APPNA STC cricket tournament has earned its reputation as most organized and fun event for cricket lovers and I know that no other chapter in APPNA holds a candle to our event. We plan on hosting teams from other AAPNA chapters to compete with our stallions. 6. Enhancement of our Organizational Philanthropy through community out reach with a Health Fair and Free Clinic Sessions. There has been a fantastic suggestion to cater to some of our non insured patients in our clinics and we are always open for suggestions. We also plan on helping charities in our mother land, not only monetarily but with our services and expertise. 7. Creation of the APPNA House, a long term vision of past STC leaders, through targeted fundraising. I look forward to membership advice in the aims of fulfilling this long term agenda and dream of AAPNA STC organization. 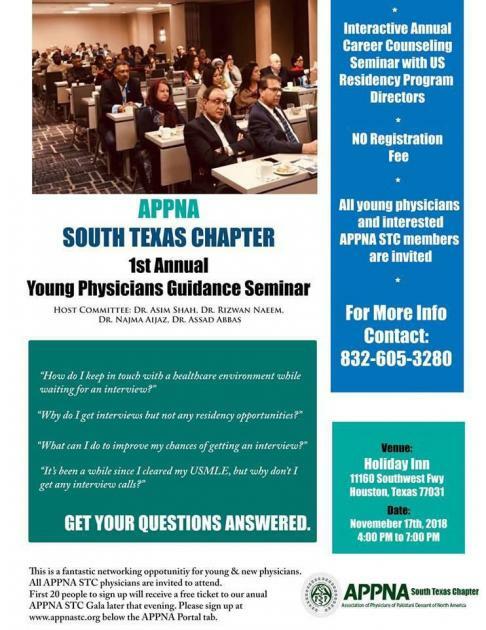 Get all the latest information on APPNA SOUTH TEXAS CHAPTER. Sign up for e-newsletter today.